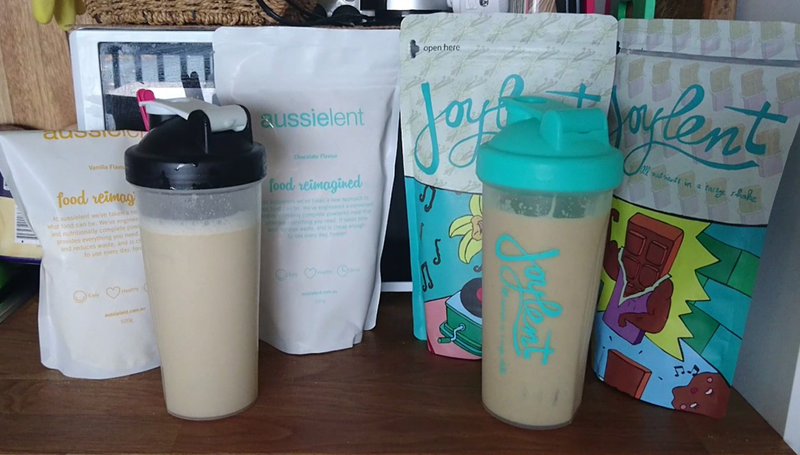 Joylent and Aussielent are ‘meal replacement’ powders that can be mixed into water and provide you with all the nutrients you need for a meal or a day depending how much you drink. Soylent was one of the original companies to bring out this powdered meal but many others soon popped up as Soylent is USA only and doesn’t ship internationally. In Australia there is a few to choose from. The ones I’ve tried so far include Aussielent, OZsoylent, Apocalypse chow. Joylent is a European version of Soylent and is fairly expensive to ship to Australia. The Joylent consistency is much more ‘sticky’ and ‘gloopy’ than the Aussielent consistency, however this changes a little bit depending on how much water you add. The taste of the Joylent also has a much stronger oaty porriagey taste. Aussielent is somewhat grainy towards the bottom of the cup if you dont swirl it as you drink. This can be remedied by blending a frozen banana into the mix. Joylent isnt as grainy, not even at the bottom with the last few drops. However thicker as you get to the bottom unless you swirl while drinking. In terms of flavour Aussielent comes in 2 and a vegan option whereas Joylent has a larger selection of flavours. I’ve tried Joylents banana chocolate and vanilla. The flavourings are natural I believe but some of them are quite strong. Chocolate was the most mild of the 3 i tried and vanilla is probably the strongest. I was pleasantly surprised banana isn’t a chemically/artificial tasting banana flavour like most banana flavourings but quite an authentic ‘banana blended in’ taste. Joylents chocolate is the most mild whereas Aussielents chocolate is more malt-like in taste and also very mild. Aussielents vanilla is not as strong as Joylents and I actually prefer that. It means I can blend a banana, or throw some blueberries into my mix and it’s not overpowered by the vanilla. 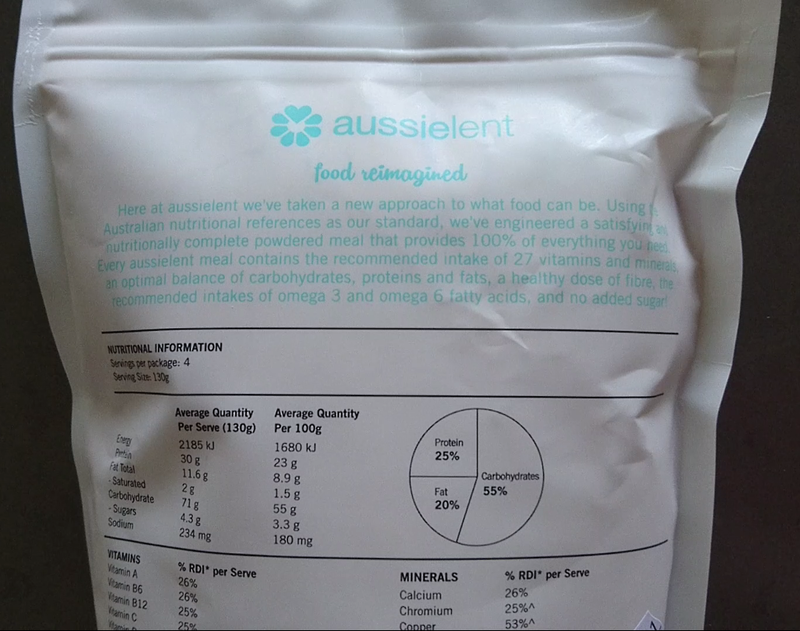 Aussielents bags are 520g and contain 4 meals/bag where as Joylents bags are also 520g but they state only 3 meals per bag. Aussielents ‘resealable’ bags aren’t really that solid and I often need to use a peg to keep it closed airtight. Joylents bags on the other hand have a great design and unique ‘rip to open’ design that actually works well. Joylents bag reseal airtight every time. In terms of meal size, I usually use a serving of around 300ml of Aussielent/Joylent and top up the rest with water and shake. Both Joylent and Aussielent keep me nice and full for at least 4 hours or so. Finally the cost is surprisingly comparable. 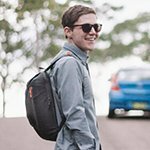 Although Joylent charges an insane 60 euro for shipping under a certain amount (30 euro over) I calculated that the rough cost of a bag of Joylent shipped to Australia worked out to around $18 a bag which gets cheaper the more you order. Aussielent on the other hand is around $14 a bag which also gets cheaper the more you order.